RoundMenu is your ultimate guide to restaurants during the holy month of Ramadan, featuring over 300 Iftar options for you to choose and book online, with special offers and promotions. You can also experience authentic Arabian nights in Ramadan Tents across the city (UAE only). – Discover the best taste of cuisine near you whether you fancy Lebanese, Indian, Thai, pizza, fast food, seafood or vegetarian food. 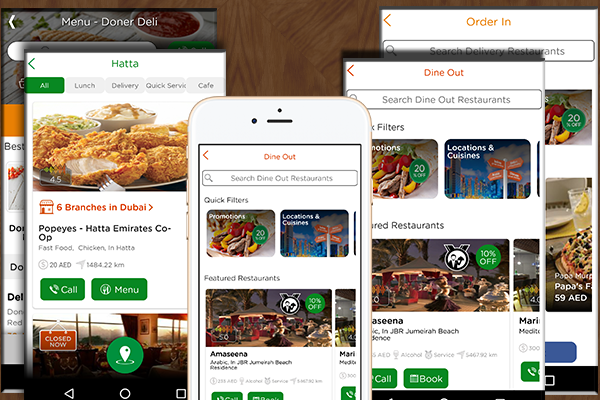 – Book your table without having to make a phone call and get map directions. – Browse the rich list of food reviews & dish pictures from people like you as well as TripAdvisor, Instagram & Foursquare.